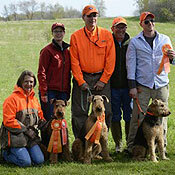 The Airedale Terrier Club of America (ATCA), founded in 1900, is the parent club of the breed in the United States and the official spokes-organization for the breed with the American Kennel Club. 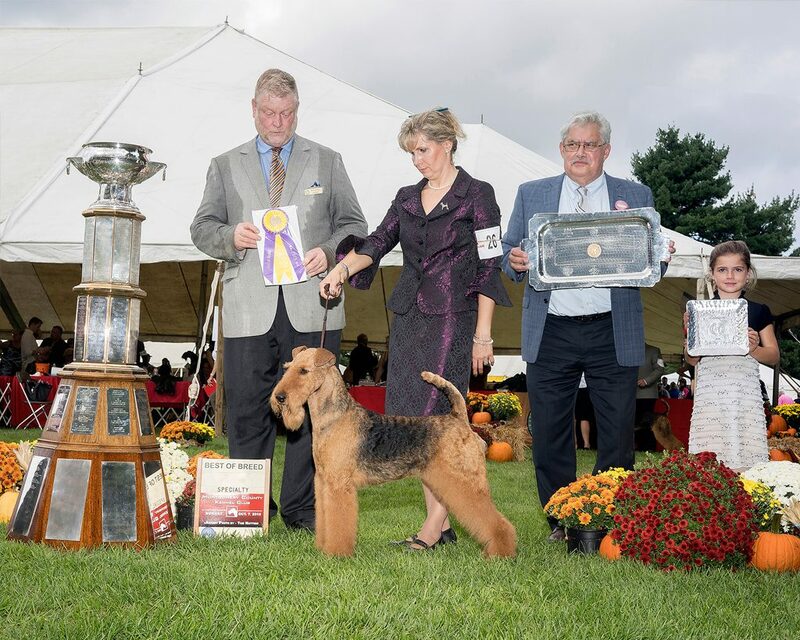 To encourage and promote quality in the breeding of pure-bred Airedale Terriers and to do all possible to bring their natural qualities to perfection. 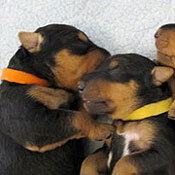 To urge members and breeders to accept the standard of the breed as approved by the American Kennel Club as the only standard of excellence by which the breed shall be judged. 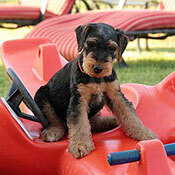 To educate judges about the standard of the breed as approved by the American Kennel Club. 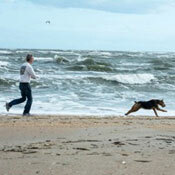 To do all in its power to protect and advance the interests of the breed and to encourage sportsmanlike competition at dog shows, obedience and agility trials, field and hunting events, and other types of performance competitions; and to support rescue/adoption activities. Would you like to learn more about ATCA? 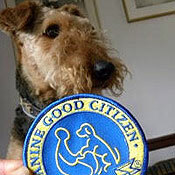 The Airedale Terrier Club of America ( ATCA ), founded in 1900, is the parent club of the breed in the United States and the official spokes-organization for the breed with the American Kennel Club.